CHANGES TO THESE TERMS AND CONDITIONS: Snazzy Printables may, in its discretion, change, supplement or amend these Terms and Conditions from time to time, for any reason, and without any prior notice or liability to you or any other person, by posting the modified Terms and Conditions on the Website. PERMISSION TO USE THE WEBSITE: The Website may be accessed and used only by individuals who are able to enter into legally binding and enforceable contracts. Users of the Website must comply with all applicable laws. The Website may not be used by persons in jurisdictions where access to or use of the Website or any part of it may be illegal or prohibited. If you breach any provision of these Terms and Conditions, you may no longer use the Website. 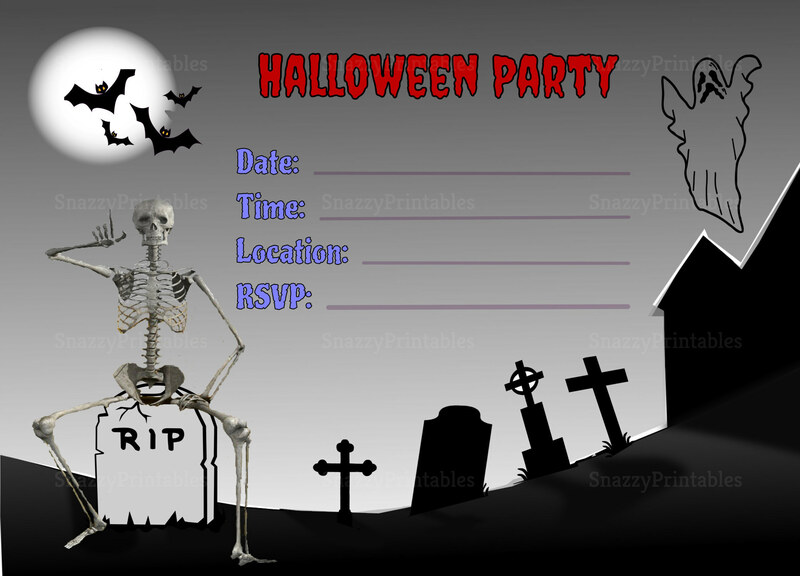 Snazzy Printables may in its discretion refuse permission to access and use the Website. The Website is made available to you for your lawful use only. You may access and browse the Website only using commercially available, SSL-capable Web browser software. The digital files may be used for personal or business use. The digital files or it\s images may not be resold online elsewhere. Please do not share the digital files nor any of it's images. You may download, save, and print as many copies of the digital files as you like provided that you do not modify any of the files or other content and you do not remove or alter any visible or non-visible identification, marks, notices, or disclaimers. The Website and their content may not be copied, imitated, reproduced, republished, uploaded, posted, transmitted, modified, indexed, catalogued, or distributed in any way, in whole or in part, without the express prior written consent of Snazzy Printables. You may not reproduce, copy, duplicate, sell, or resell any part of the Website or access to the Website. OWNERSHIP OF THE WEBSITE: Copyright ©snazzyprintables.com 2018. All Rights Reserved. The Website and it's content (including all information in text, graphical, video and audio forms, images, icons, software, design, applications and other elements available on or through the Website) are the property of Snazzy Printables and others, and are protected by international copyright and other laws. Your use of the Websites does not transfer to you any ownership or other rights in the Website or it's content. OTHER SITES: The Website may include advertisements for, and links to, other websites or resources and businesses operated by other persons, including Other Sites are independent from Snazzy Printables, and Snazzy Printables has no responsibility or liability for or control over Other Sites, their business, goods, services, or content. Links to Other Sites are provided solely for your convenience. Snazzy Printables does not sponsor or endorse any Other Sites or their content or the goods or services available through those Other Sites. Your use of Other Sites and your dealings with the owners or operators of Other Sites is at your own risk, and you shall not make any claim against Snazzy Printables arising out of your use of any Other Site or your dealings with the owners or operators of any Other Sites. OTHER MATTERS These Terms and Conditions and all related matters are governed solely by the laws of the United States of America, excluding any rules of private international law or the conflict of laws which would lead to the application of any other laws. The United Nations Convention On Contracts For The International Sale Of Goods does not apply. For all disputes between Snazzy Printables and you or any other person arising from, connected with or relating to the Website, these Terms and Conditions, transactions facilitated or conducted through the Websites, Items ordered or purchased through the Websites, dealings between You and Snazzy Printables, or any related matters or any legal relationship associated therewith or derived therefrom ("Disputes"), the relevant parties will attempt to find a reasonable solution least onerous to the parties. If a Dispute cannot be resolved by the parties, then the Dispute must be resolved before the Courts of the United States sitting in the City of Bishopville, SC and you hereby irrevocably submit and attorn to the original and exclusive jurisdiction of those courts in respect of all Disputes. Proceedings regarding Disputes must be commenced in a court of competent jurisdiction in the City of Bishopville, SC, USA, within six (6) months after the Dispute arose, after which time any and all proceedings regarding the Dispute are barred. Any shorter time limit provided by statute law remains unaffected. If any provision of these Terms and Conditions is found to be unlawful, void, or for any reason unenforceable, then that provision shall be deemed to be severed from the rest of these Terms and Conditions and shall not affect the validity and enforceability of any remaining provisions. No consent or waiver by either party to or of any breach by the other party of these Terms and Conditions will be deemed or construed to be a consent to or waiver of a continuing breach or any other breach of these Terms and Conditions by that party. No consent or waiver will be effective unless in writing and signed by both parties. You expressly request and require that these Terms and Conditions be drawn up in the English language. Any rights not expressly granted in these Terms and Conditions are reserved to Snazzy Printables. These Terms and Conditions are subject to change without notice.